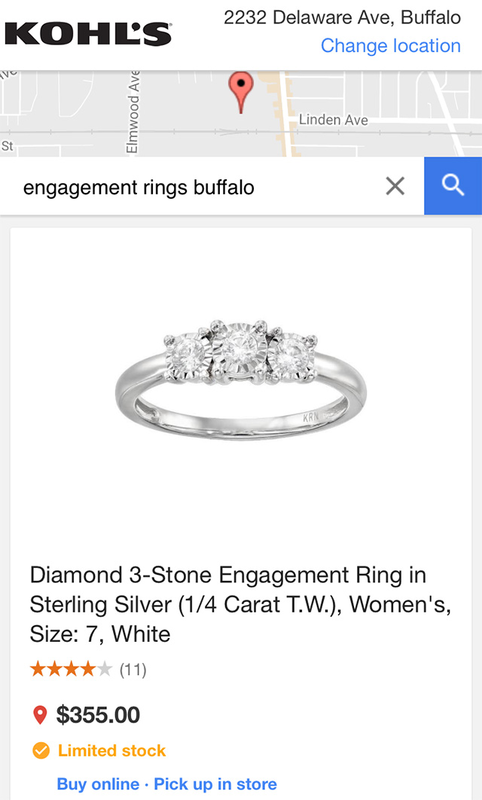 Mike Blumenthal posted a screen shot on Twitter showing Google shopping ads in the local pack results for a query on [engagement rings buffalo] on mobile. 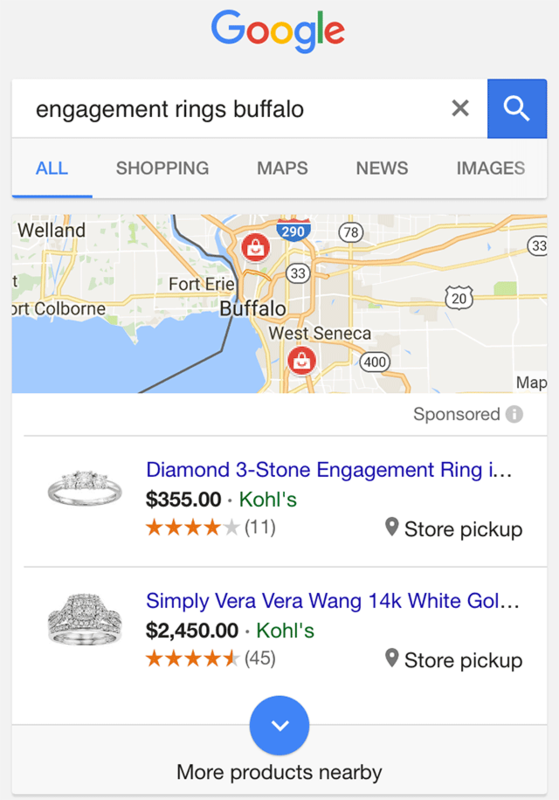 I was able to replicate it and basically, it is not showing engagement ring stores, but rather engagement ring products directly in the local pack results. These are clearly labeled as "sponsored" results and take you to a Google Shopping landing page to order. We've seen other forms of Google Local pack ads before but not like this.